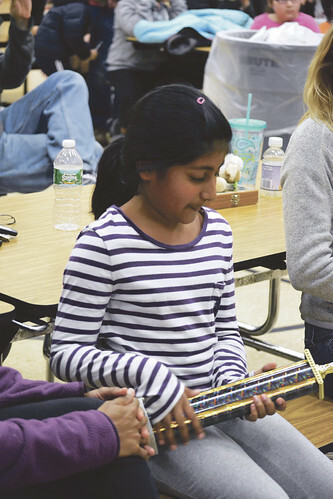 The 2013 Onondaga City Scholastic Chess Championship brought together parents and children from schools throughout Syracuse and as far away as Buffalo on a recent rainy Sunday. 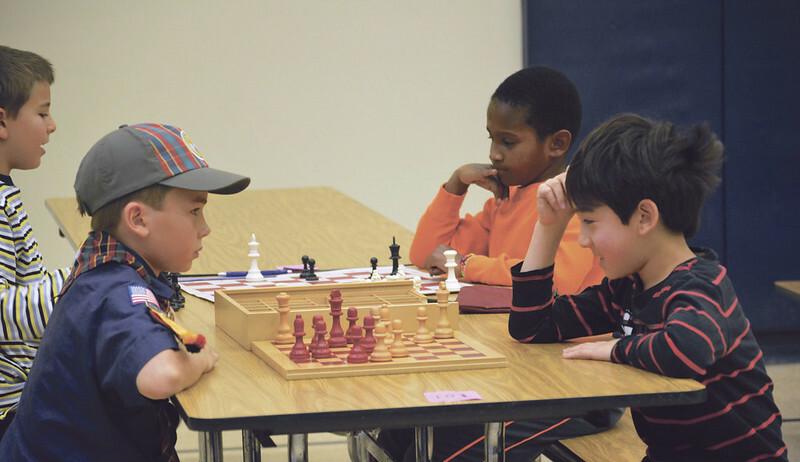 Caleb Smith (left, in scout uniform), a fourth-grader at Jamesville Elementary School, competes against Gene Balian, a third-grader at Fayetteville Elementary School. The tournament was held Sunday, Nov. 17, in the gym of the Southside Charter Academy. There were three age groups: kindergarten through fourth grade, kindergarten through sixth grade and kindergarten through 12th grade. 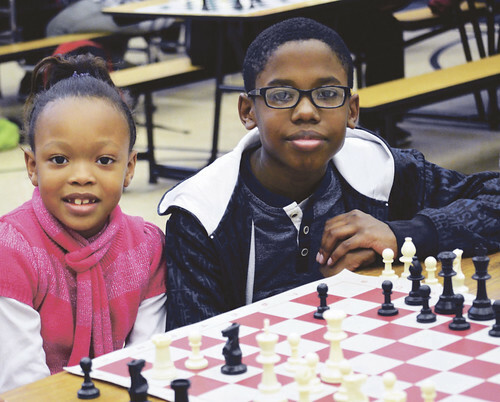 The event attracted more players than usual, according to Anton Ninno, who is the chess adviser at the Southside Charter Academy. He said that there were 63 contestants in total. “I haven’t seen a tournament this big in 10 years,” Ninno said. Increased publicity helped make the event more popular this year, which usually has a hard time being successful at a school with a poverty rate around 90 percent, Ninno said. Robert Nasiff, of Syracuse, served as the tournament director. 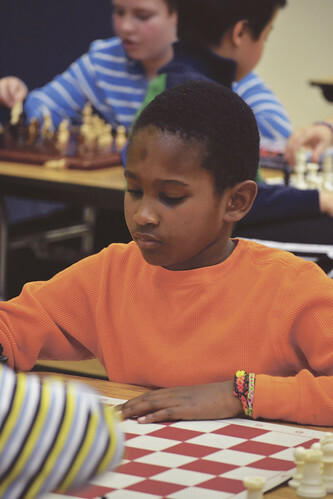 Rafael Jennings, a Manlius Pebble Hill School student, studies the board. Jade Regner is a fifth grader at the Southside Charter Academy. 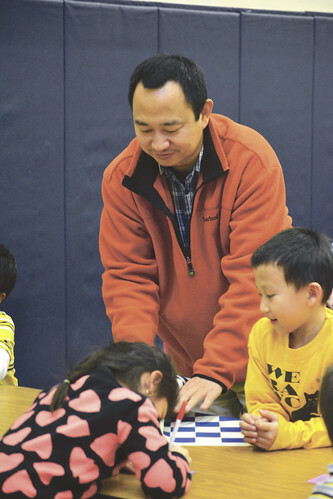 Laim Qui, a second grader, with his father, Yiwei Qui, from Manlius. Gabby, a third grader at the Southside Charter School, with her brother Andrew Bloomfield, 12, who goes to Gillette Middle School. Both competed in the tournament, but in different age groups. 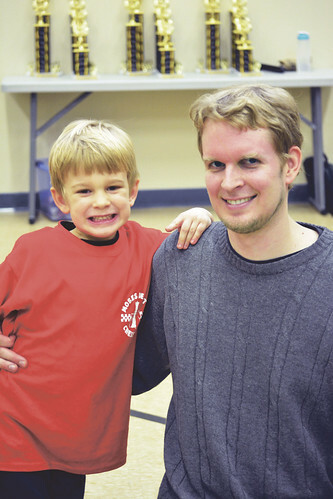 Toby Thompson, 4, poses with his father, Clark.